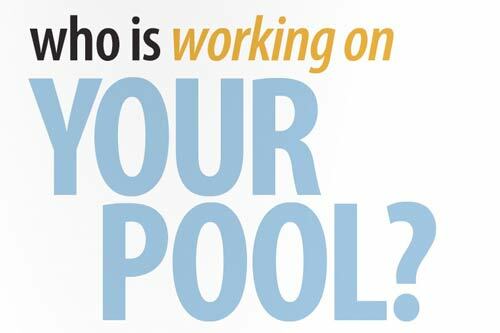 Who is Working on Your Pool? Smart people know that with a little more up-front effort and not taking the seeming lowest bid will save you headaches and cost over the long run. Be wary of pool builders who can somehow 'save you' large amounts of money compared to the competition. 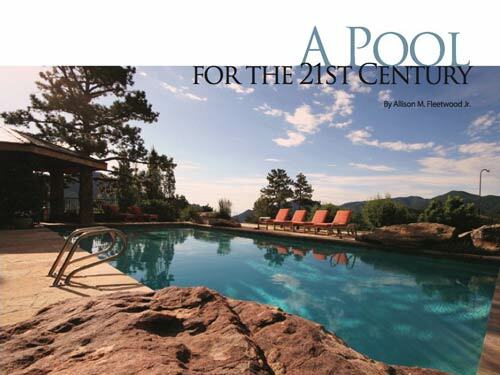 A Boulder area couple creates a stunning outdoor oasis that feels like a resort for adults and lives like a water park for their teenage children. ...and now the Business Hall of Fame! 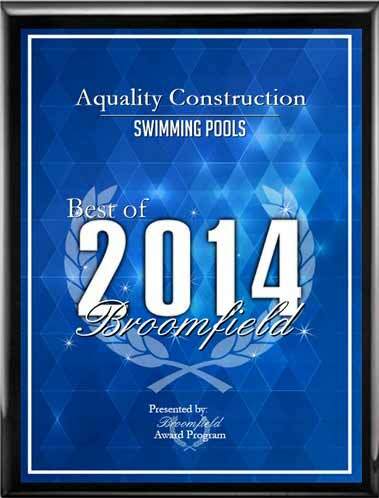 "Aquality Construction has been selected seven years in a row for the 2014 Best of Broomfield Awards for Swimming Pools and now qualifies for the Broomfield Business Hall of Fame." 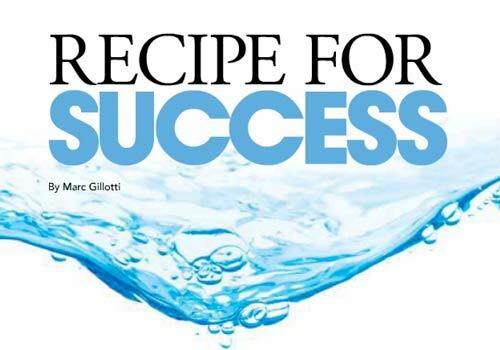 "This is a reflection of the hard work of not only yourself, but of many people that have supported your business and contributed to the subsequent success of your organization. Congratulations on your selection to such an elite group of small businesses." 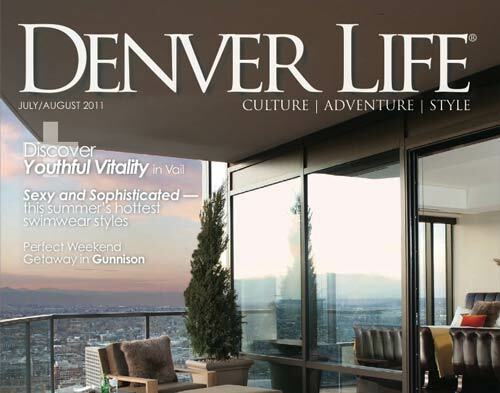 We accept these awards humbly and always strive to build the best pools and spas for our valued customers. 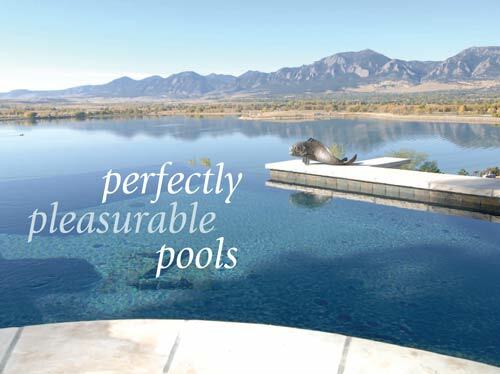 This nationally recognized designation is highly sought after by those who know the value of certification to raise confidence with prospective customers and raise your industry visibility with pool and spa manufacturers, distributors and buying groups. Candidates qualify by having at least five years of industry experience and 24 hours of continuing education credits within the last three years. 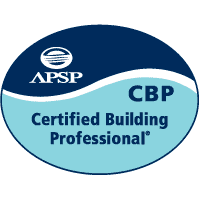 The APSP CBP designation is earned through a standardized written examination which measures knowledge of residential and commercial pool and spa construction. Applicants for the designation must meet industry experience requirements and, once the designation is earned, ongoing continuing education is required to maintain the certification. The program emphasizes a commitment to ethical standards and a commitment to the highest standards of construction and workmanship through adherence to national pool and spa standards. Joe Jr. is a Certified Building Professional, and one of only four CBPs in the state of Colorado. Congrats Joe!